The software matches that person's photograph with the photographs it stores for all applicants for the Public Services Card. FACIAL IMAGING SOFTWARE deployed by the Department of Employment Affairs and Social Protection has recorded 28 cases of identity fraud to date in 2018. According to the department, the cost of operating the facial imaging software system “is self-financing” as the value of fraudulent activity detected since its application is in excess of €4 million. A department spokeswoman said that the savings recorded in the first six months of this year as a result of identification fraud detected using current facial imaging software totals €334,000. She said that three prosecutions brought about by the facial matching software have brought convictions in three cases this year to date. The savings of €334,000 in 2018 follows the department making savings of €894,000 from the facial imaging software detecting identity fraud in 2017 and savings of €1.734m in 2016 – a total of €2.962m since the start of 2016. The Department released the figures as it has just signed a €383,000 contract with UK firm, Gemalto for the design, development and implementation of upgraded facial recognition new software. The London company was the only one to tender for the contract. According to the department, the system now needs to be replaced to improve performance and functionality to include an improved algorithm in line with current market standards and expectations. The first contract for the facial image matching software was awarded in April 2012 at a cost of approximately €213,000, excluding VAT. The contract included maintenance for the first year and the department has only had a maintenance contract since then. One of those to receive a significant jail term is Romanian man, Adrian Vaduva (46) with an address at Schoolyard, Riverchapel, Gorey, Co Wexford who last year received a three-year prison sentence, with the last nine months suspended. Vaduva used two identities to accumulate over €280,000 in social welfare payments between 1999 and 2015 and would not have been caught without the introduction of facial software. 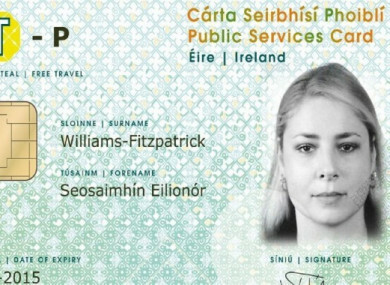 The software produces an algorithm of a person’s face that the department then uses to see if it can match that person’s photograph with the photographs it stores for all of the other 3.2 million people who have applied for a Public Services Card. The technology focuses on facial characteristics – for example, the distance between someone’s nose and eyes or a freckle on their left cheek which is made into an algorithm and a template based on their facial characteristics. Email “Facial imaging software has been used to detect €4 million worth of identity fraud”. Feedback on “Facial imaging software has been used to detect €4 million worth of identity fraud”.